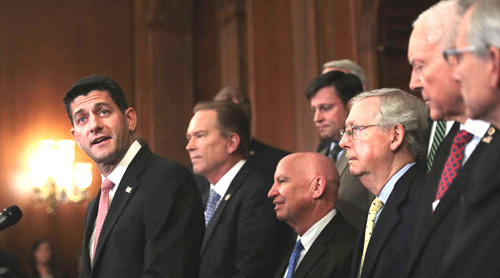 Republican tax policy focuses on one central idea: If you cut taxes, the economy will grow. Now the man who helped write that doctrine says it’s a myth. Bruce Bartlett, author of “The Truth Matters,” was an economic policy adviser for presidents Ronald Reagan and George H.W. Bush. And during the 1980s, he championed the idea that tax cuts would equal growth in the economy. In a recent op-ed in the Washington Post, Bartlett debunks the myth that, as he puts it, he helped create. Marketplace host Kai Ryssdal talks with Bartlett about the GOP tax myth and why it’s lasted so long. By Scott Tong November 01, 2017 | 4:24 PMThe EPA yesterday installed new science advisers, who run panels to assess the latest findings on, say, pollution and asthma for the agency. 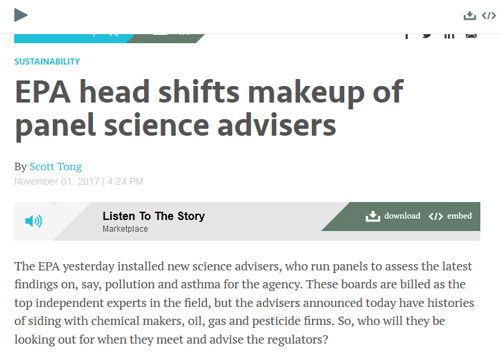 These boards are billed as the top independent experts in the field, but the advisers announced today have histories of siding with chemical makers, oil, gas and pesticide firms. So, who will they be looking out for when they meet and advise the regulators? Representatives from Facebook, Google and Twitter are testifying before Congress this week about propaganda on their networks. 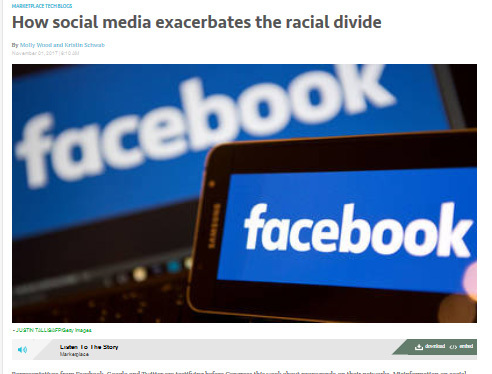 Misinformation on social media has been aimed at creating division and unrest, especially around race. And as Facebook’s general counsel said on Tuesday, that’s still happening. For instance, fake Facebook accounts created by Russian operatives encouraged violence against Black Lives Matter protesters. Another one called Blacktivist suggested violence and protests against police. Karsonya Wise Whitehead is an associate professor of communication at Loyola University. Marketplace Tech host Molly Wood talked with her about how online propaganda influences our real-life interactions and how much responsibility social media companies should bear. Below is an edited transcript of their conversation. Molly Wood: Do you think these accounts were used to exacerbate racial tensions? Do you think that’s the case, and did it work? Karsonya Wise Whitehead: I think that is the case. I mean we’re at a moment in time when racial tensions have been heightened for the past year. And I think that anything you add in to stir up the pot, to keep people upset, to further divide people, it’s going to be pretty successful at this moment in time. Wood: And then what about trust in social media? One of the fake accounts that’s used as a big example was essentially sort of a Black Lives Matter account that was not real, but had more followers than the actual Black Lives Matter page. How does it affect trust when you think that you’re gathering in this online community with people that you want to talk to and then you find out they’re not real? Move over, meat. Tyson Foods’ CEO is excited about plant proteins. 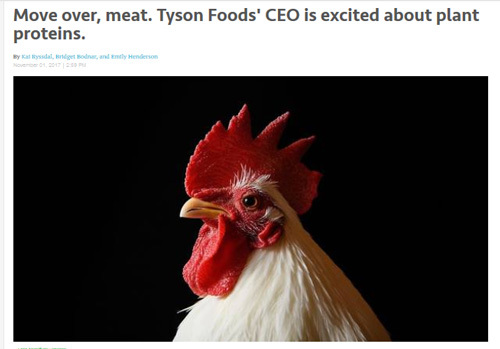 Tyson Foods isn’t just Tyson Chicken. The company includes Jimmy Dean sausages, Hillshire Farm and Ball Park franks. Tyson is a big food producer, right at the top of America’s corporate food chain. Earlier this year, the company pledged to eliminate the use of antibiotics in poultry sold with the Tyson label. Tom Hayes, Tyson’s president and CEO spoke to Marketplace host Kai Ryssdal from Arkansas, where his company is based. The following is an edited transcript of their conversation. Kai Ryssdal: When you took over this gig a year-ish ago, what were the first couple of things you were thinking you had to do for this company? Since humans migrated from Africa and dispersed throughout the world, they have found countless ways and reasons to reconnect with each other. In this entertaining book, Nayan Chanda follows the exploits of traders, preachers, adventurers, and warriors throughout history as they have shaped and reshaped the world. For Chanda, globalization is a process of ever-growing interconnectedness and interdependence that began thousands of years ago and continues to this day with increasing speed and ease. In the end, globalization―from the lone adventurer carving out a new trade route to the expanding ambitions of great empires―is the product of myriad aspirations and apprehensions that define just about every aspect of our lives: what we eat, wear, ride, or possess is the product of thousands of years of human endeavor and suffering across the globe. Chanda reviews and illustrates the economic and technological forces at play in globalization today and concludes with a thought-provoking discussion of how we can and should embrace an inevitably global world.